While sandstone is now the most visible geological formation in the Blue Mountains, much of area was once covered by a huge basalt lava sheet. Although most of sheet has been eroded away, basalt caps remain at Mt Tomah, Mt Wilson, Mt Banks and Mt Irvine. 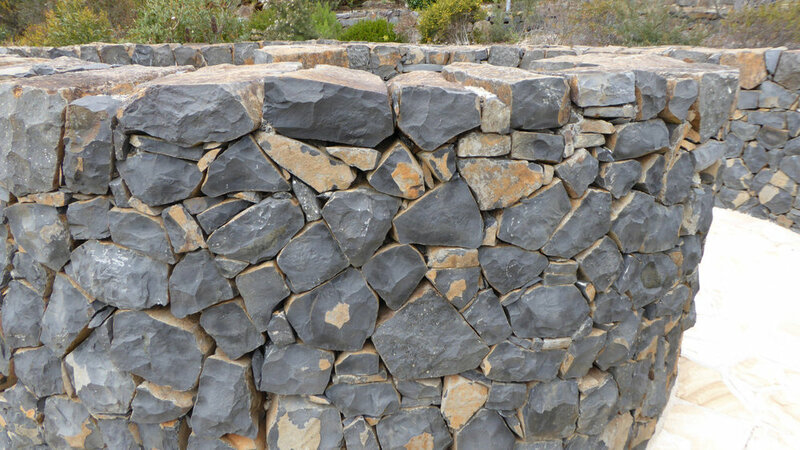 In the Blue Mountains Botanic Garden at Mt Tomah basalt has been used extensively for construction of walls. A striking example is the spiral ramp that provides access from the Visitor Centre to lower parts of the Garden. Walking down the ramp provides a close up view of the precisely cut and places hard dark grey basalt stone in the adjoining walls.